Ken Karlic, Metropolis, watercolor, 30 x 50 in. Ken Karlic, X's and O's, watercolor, 14 x 21 in. Ken Karlic, Take the Ramp to the Left, watercolor, 14 x 21 in. 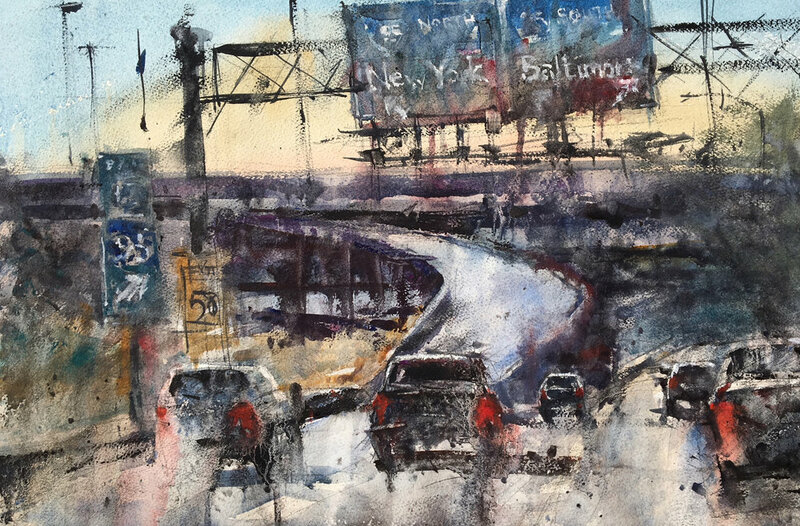 Karlic’s series featured in this fine art exhibition follows the theme of “City Lights” and is focused around a large-scale work capturing an evening cityscape, with smaller works that display familiar views from behind automobiles on the road.